It has been said before that a man’s home is his castle. However, a castle is supposed to impart a sense of majesty and an impregnable fortress, and the latter is something that is sadly missing from the equation in many homes these days, judging by the amount of break-ins that we read about in the news each day. Having a home security system installed is important, and this would include making sure that there are adequate cameras in strategic locations placed. 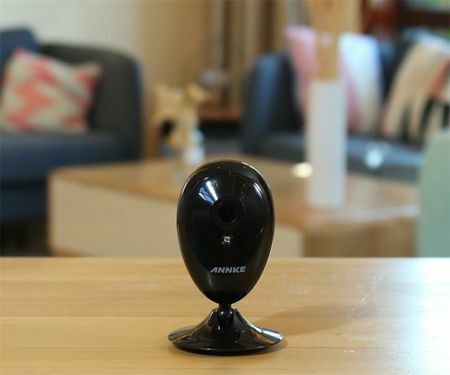 ANNKE has stepped into the fray yet again with its latest smart home security cameras, the Nova S and the Nova Orion, with the former being made available already while the latter is arriving soon. Both the Nova S and Nova Orion are reliable and advanced 24 hours’ home monitors and assistants which will play nice with Amazon’s Alexa voice service as well as IFTTT in order to hook up to the rest of the smart home devices in the immediate vicinity. Among that, they will also boast of cloud service storage, being able to send push notifications upon sensing some motion within its range, remote monitoring capability so that you do not have to worry about the status of your home should you be located halfway across the globe due to your travels, a two-way audio smart home control, as well as 1080P clear night vision. Being compatible with Amazon’s Alexa digital assistant and the IFTTT service certainly delivers a far greater degree of control, since it can then interact with other compatible smart home devices such as temperature controls, lights, appliances and the most popular smart home devices from companies in the vein of Philips Hue and WeMo switch, among others. The Nova Orion bests the Nova S in two important functions, boasting of Smart Auto Tracking and Privacy mode. Any takers?